Treat yourself to these free showings of classic films with themed food, drink and DJ sets. 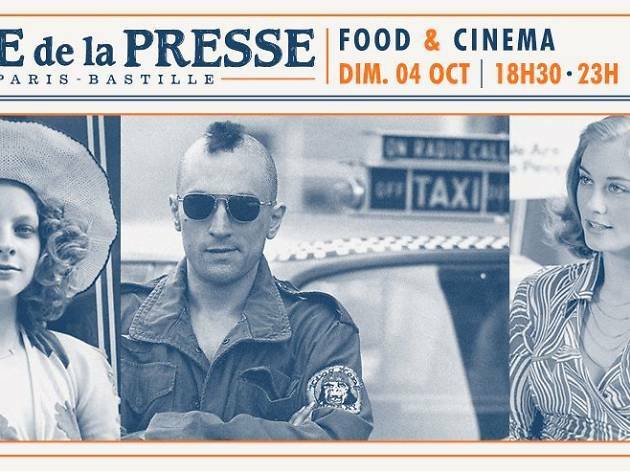 The Café de la Presse dedicates one Sunday per month to a celebration of classic blockbusters with themed DJ sets, food and, of course, a free film projection. 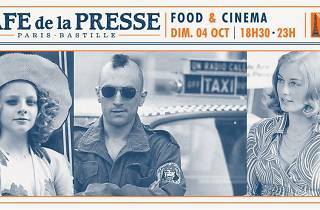 In anticipation of the Martin Scorsese retrospective at the Cinémathèque, first up this season is ‘Taxi Driver’ on October 4 2015, kicking off at 6.30pm with a special DJ set and cheap themed cocktails (€5) and meals (from €15) before the film actually starts at 8.30pm. The rest of this season’s programme is still TBA, but most ‘Food & Cinéma’ nights tend to follow a similar schedule. Entry is always free and without reservation, so it’s advisable to get down early to bag a table with a decent view.